Every time a child does something imaginative, we have a choice as to how we respond, and over time, our responses have long lasting effects on how children view their own inventiveness. The more we accept the premise of children’s play, the more likely they are to believe in their own creative abilities. This insight came while my family was at one of our favorite cafés in Oakland. We go there every day, and this morning, like all other mornings, I pull out various things for my daughter to play with so I might be able to sip my coffee for a moment or two and maybe say hi to my folks. I get to talking with my mom, while my daughter digs into the toy bag. 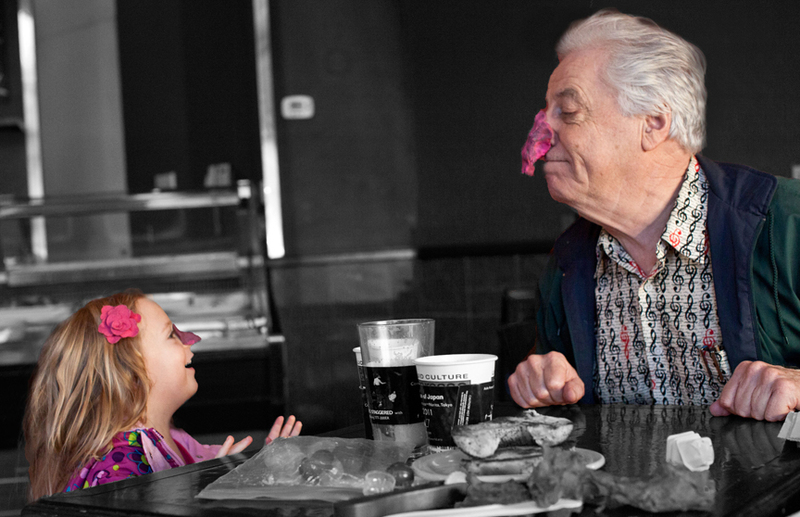 The next thing I know, she puts a blob of play dough on her nose and goes to visit with my father, who then put blobs of play dough on his nose. I laugh. My mom laughs. Then she puts a blob of play dough on her nose, and I do the same. We are a table of clowns. This was when I realized that I am among the fortunate to have grown up with parents who know how to play, who accept invitations to be imaginative, and join in with gusto. 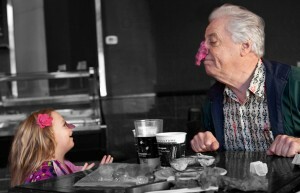 I have a strong sense of my own creative abilities, and putting play dough on my nose comes naturally. I give my parents credit for this. That morning, the message we gave my daughter was, ‘Your inventiveness is not only valued but encouraged.’ As a result, she is more likely to believe her creativity is welcome. 3. 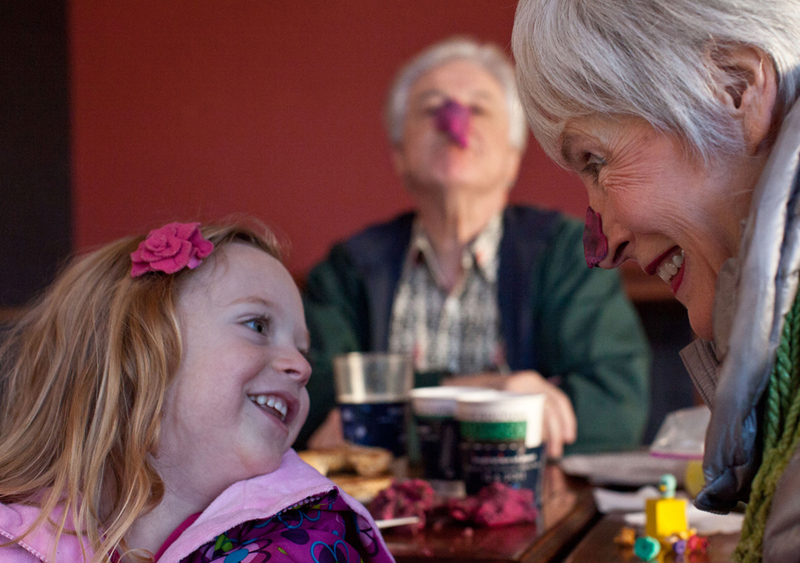 I don’t say anything or do anything, but pray other people around the café don’t notice my child has a blob of pink stuff on her nose. Now, there are times when is it completely appropriate to redirect what is going on, for whatever reason. I do believe, though, the vast majority of the time, it is not only fine to accept the premise of the play, but advantageous to all involved. Young children live effortlessly in the world of imagination. If we join them there, not only do we bring more joy into our lives, we honor them for who they are – incredibly inventive human beings. Yes, yes, yes. Sometimes if you simply stop what you’re doing, kneel down next to your child and give him/her your FULL attention for just a moment… The results can be powerful. Also, sometimes as parents, we’re just too darn serious.